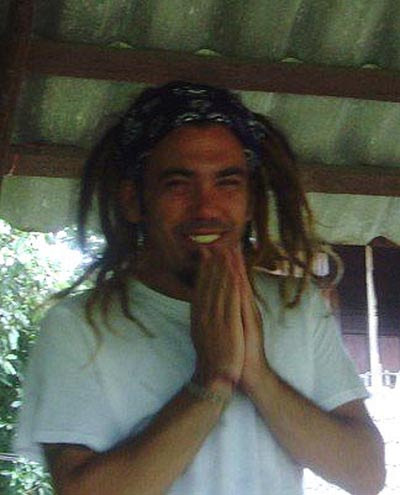 In January 2008 two Canadian tourists were gunned down by a Thai policeman in Pai a village predominantly populated by hill tribes in the northern Thai province of Mae Hong Son. The village, once a picturesque backwater for backpackers going on treks had more recently become one of northern Thailand’s top tourist destinations, with many high-end guesthouses. ng Thai artists and had a vibrant live music scene. Two such backpackers were Leo Del Pinto and Carly Reisig, both aged 24 and Canadians, who had once been sweethearts, but regarded themselves now much more as soul-mates. Leo Del Pinto, a music promoter from Calgary, Alberta, died almost instantly. Carly, from Chilliwack, B.C., who worked in a home for the handicapped, recovered from a bullet which entered her body just below her left breast. They were shot early in the morning of January 6th while walking on route from one venue to another. Immediately after the shooting police in Pai issued a number of statements which were picked up by the wire services and transmitted worldwide. Carly and Leo had been fighting said the Thai police. When their officer a Sergeant Uthai Dechawiwat intervened they attacked him. His gun went off accidentally as he fell down. One bullet hit both victims. Nevertheless Sergeant Uthai had been charged with murder and attempted murder. Police also said the gun had a hair trigger. These statements were issued by the man in charge of the investigation Lt-Colonel Sombat Panwa -Uthai’s boss. Sensing this some facts were being witheld Andrew Drummond commissioned a Chiang Mai based journalist Cindy Tilney to interview Ms.Reisig at the Chiang Mai Ram hospital in the northern Thai capital. She claimd she had not been fighting Leo and she denied she would ever fight Leo who was her best friend. The gunman attacked her without provocation and shot Leo twice, the second time when he was on the ground, and then turned the gun on her. This flew in the face of statements by some residents of Pai, interviewed by local police, who claimed that Ms Reisig made an unprovoked attack on the policeman after he broke up her fight with Leo. Initially reporting for the Toronto Globe & Mail, Toronto Star and CBC Television and Radio, Andrew Drummond joined forces with the Thai National Human Rights Commitee and their team led by Commissioner Surasee Kosolnavin to investigate. Within days two Thai witnesses, not Pai residents, came forward in Bangkok saying they were shocked to see Thai television news programmes reporting to the police line that the killings were an accident. They had seen the incident they said. It was certainly not an accident. Neither of the foreigners had attacked the policeman. They said that at the scene the police adopted a menacing attitude towards them and other witnesses. Carly had indeed been fighting, but not with Leo but her Thai boyfriend – an artist called Fune. The policeman rushed up, kicked Carly while she was on the ground. She got up and the policeman pointed his gun at Carly (pictured left). She pushed it away and he used it to pistol-whip her on the head before shooting her in the chest. Then he turned his gun on Leo who was approaching and shot him twice, the second time in the head as he fell. 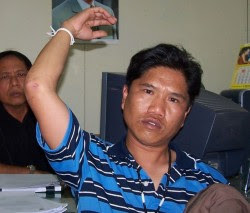 When the National Human Rights Committee went to Chiang Mai with Andrew Drummond to look at the forensics, Thailand’s leading forensic pathologist Khunying Dr. Pornthip Rojanasun, confirmed that the police story that Sgt Uthai was shooting up as he was being overpowered by the foreigner could not possibly be true. The second bullet entered his cheek, went through his larynx and embedded itself under his shoulder near his arm pit. The policeman was clearly shooting in a downward direction. The NHRC team went back to Pai to interview witnesses and then onto Mae Hong Son. Sergeant Uthai had not been charged with murder or attempted murder – and the investigating authorities, Sergeant Uthai’s own colleagues, appeared only to be gathering evidence for a defence and had ignored the forensic evidence. They were still claiming one bullet hit both foreigners. But their major claims, that Leo and Carly were fighting, that one bullet hit them both, that the policeman shot up at Leo Del Pinto, had already fallen apart. This put into serious question testimony police had gathered from witnesses in Pai itself. In the Kanchanaburi backpacker murders no local witness would give evidence AGAINST their local policeman saying that he was the killer. Similarly in Pai when it came to the actual shooting, witnesses claimed they could not see anything because of a line of parked cars. Both Carly Reisig and Fune (pictured right) gave evidence at a special court hearing. This time Carly did admit she had been fighting, but it was with Fune, not Leo. Her interviews with reporters earlier had been less than frank. She claimed however that she did not talk about the fight because she did not want to involve Fune, who was the only person looking after her while she was in Chiang Mai Ram hospital. 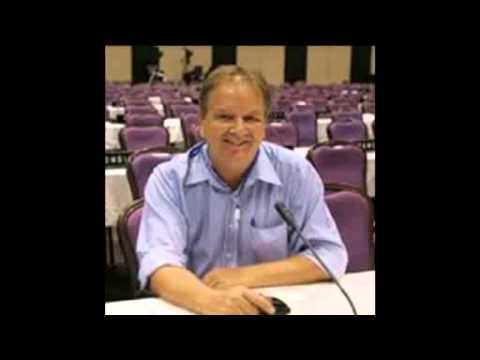 Andrew Drummond publish the results of both the NHRC and his investigations in the Nation newspaper Bangkok, on CBC and in a number of Canadian newspapers. The NHRC made a formal complaints about the conduct of Police Colonel Sombat Panywa and called for an independent investigation by the the Department of Special Investigation. They will represent the family of Del Pinto as join prosecutors. Andrew Drummond received thanks from Leo Del Pinto’s father and the Justice for Leo campaign. In the same period he also reported for CBC on Canadian Dale Henry who was murdered in the Thai province of Rayong, and of the shooting of a Canadian Professor on holiday in Chiang Mai.